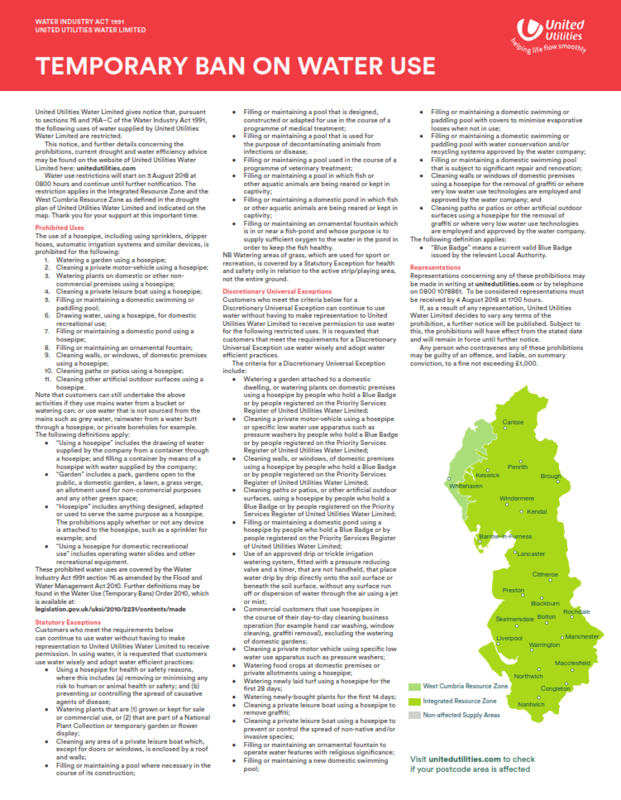 Hosepipe ban will be introduced by united utilities across most of the North West on 5th August 2018. We’ve all been enjoying the great weather recently, but a lack of rain and increased demand for water means reservoir levels are now lower than usual for this time of year. As a result, a hosepipe ban will be introduced by United Utilities across most of the North West on 5th August 2018. Please visit https://www.unitedutilities.com/hosepipeban to see if you are in an impacted area and for full details about what this means for your business. United Utilities have announced a planned hosepipe ban for the North West. This will be in place from 8 am on 5th August 2018. A ban would mean that domestic customers must not use hosepipes connected to the mains water supply to water gardens, wash cars, fill a domestic swimming pool and similar uses. Activities that are directly related to the commercial activities of the business will largely be unaffected. The ban prohibits the certain non-essential business use, for example, the use of hosepipes or sprinklers for watering on-site gardens and washing private motor vehicles. If you have any further questions or would like any further impartial advice regarding your water and wastewater supplier, feel free to contact us or visit our website to find out more. 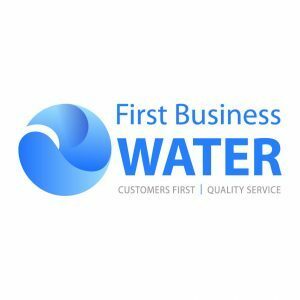 First Business Water is a licensed water supplier, providing water and wastewater services to Businesses in England. With our commitment to offering exceptional levels of customer service, we offer a focused and proactive approach in managing our customers water usage and costs. With sustainability at the core of our company values, we firmly believe that our everyday habits can positively impact the world around us. We not only want to supply water, but also empower communities to use water efficiently.